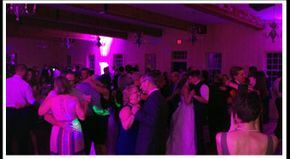 At Crystal Sound, our special event and wedding DJs in Winnipeg are experts at finding and providing the right music for your special event. Serving clients throughout Manitoba, we offer a complete music library that is specially designed to appeal to a wide variety of tastes. We offer music that includes big band, songs from the '50s and '60s, country and the latest hits in dance and rock. Our operators are seasoned professionals, trained in proper etiquette and procedure, and they will acknowledge all requests and make sure the music and volume levels are appropriate for your event. 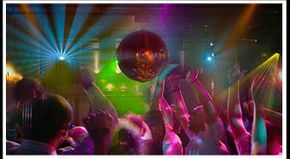 Read more about our DJ services in Winnipeg, or contact us today to get started. With many choices available to brides and grooms what sets Crystal Sound apart from other DJ services? The answer is crystal clear! Personalized, professional service and our staff! We bring with us more than 35 years of experience in the DJ entertainment industry. That is why Crystal Sound is the most recommended music supplier in banquet facilities throughout Winnipeg. The staff of Crystal Sound wants to get to know you. We offer free in-office consultations where we can assist you in offering different ideas to create an entertainment package and experience that is specifically customized to you. 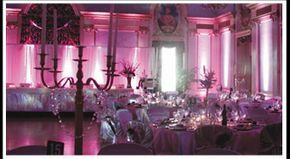 From ethnic music to elegant up-lighting and monograms, Crystal Sound transforms your wedding from beautiful to elegant! Socials are legendary in Winnipeg! You can talk to anyone, from locals to out of town guests, they can remember attending a social and having a great time! Chances are that Crystal Sound did the music. Did you know that Crystal Sound has been providing music and DJ services in Winnipeg since 1979? There is no other music company that has the experience that our team brings to the table. From polkas, classic rock, top 40 and the standard social music, Crystal Sound will get your guests off the chairs and onto the dance floor. 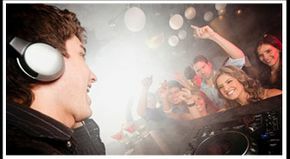 Enhance your social by creating a "nite club" experience. 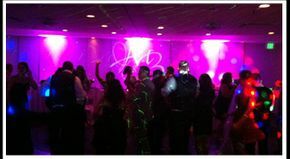 Crystal Sound carries a variety of lighting packages that will take your social to the next level. Let us show you how you can generate extra revenue by up-lighting your auction tables. Contact our in office consultants for creative ideas. Whether you're graduating from high school, college, or university, you have reached a milestone in your personal life. From the formal dinner to the Safe Grad, Crystal Sound can help you create the ultimate experience. From themed grads to incredible lightshows Crystal Sound will ensure that your graduation is one that you and your friends will never forget. Whether you're celebrating with your office, with friends or with family, Crystal Sound offers a wide range of musical selections that are ideal for celebrating the holidays. Get your holiday party off on the right foot by working with us, and we'll help make your holiday a memorable one! Planning a Bar or Bat mitzvah? You have come to the right place! Leave it to Crystal Sound’s Bar-Mix-Vah Boyz to set the party off. Our team of high energy, fully interactive DJs/MCs have been professionally trained and come ready and excited to party with you. These boys will be sure to rock the party from beginning to end. With party games, dance offs, and mini-challenges, we put the fun back into your party! We like to encourage our customers to help us plan the perfect show. Instead of trying to be the center of attention and run the show, our team will listen to your opinions and ideas and come up with ways to interact with your guests. We work hard to interact with mixed crowds and keep them all entertained with a good mix of music, interaction, and, of course, the upbeat style the Bar-Mix-Vah Boyz were founded upon. Private consultations are available, as well as fully custom LED light shows. For more information, or to set up a free, no obligation consultation, please contact Junior at junior@cystalsound.mb.ca or 204-694-4271. 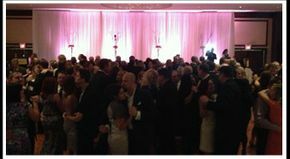 Over the course of many years we've built the experience it takes to help your special event go off without a hitch. 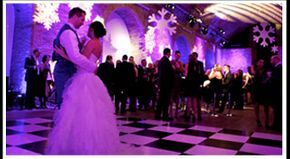 Whatever the event or celebration you're planning, let us help you craft the perfect soundtrack to accompany it.